My top moments in Leo’s career that should have won an Oscar before now has to begin with ‘What’s Eating Gilbert Grape‘ from 1993. Right off the bat, it’s even a hard decision to pick from this film or ‘This Boy’s Life‘ from the same year. You have two films that required very different approaches but showed off his acting prowess in spades. In ‘What’s Eating Gilbert Grape‘ you have his character, Arnie, that was described by one fan as “Arnie was the best retarded person since Forrest Gump and he was bloody perfect. Someone give this man his Oscar already goddamnit.” This is pretty accurate because if you look at the performance he gave as Arnie, he was so believable and so devoted that some who saw the film actually thought he was MR. However, in deference to the quote above, Gilbert Grape was one year before ‘Forrest Gump‘ and Leo went full retard with no Oscar and Tom Hanks did NOT, and he got the statue. Damn politics. 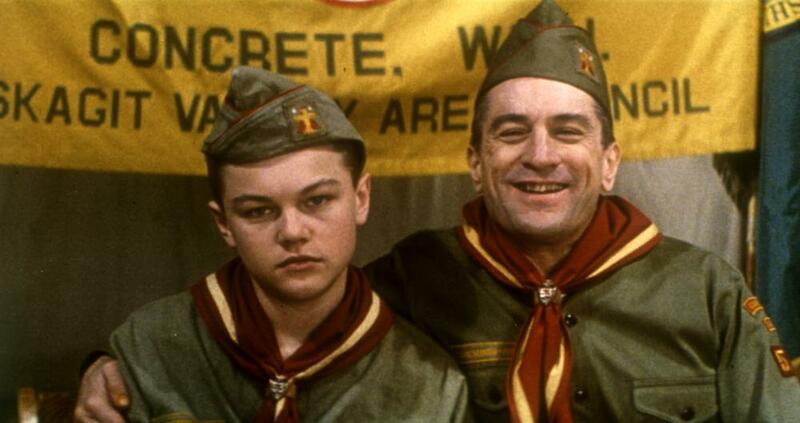 Now with ‘This Boy’s Life‘, he didn’t have as much of a challenge, physically, with portraying Toby, a rebellious teen that deals with an abusive step-father, however, he had to play opposite Robert DeNiro as that abusive step-father, let’s not forget DeNiro is a method actor. You can’t tell me that filming this movie wasn’t a challenge! For both films mentioned, he did get his name out in the industry as a drama actor with the chops to take on whatever a role required of him. Opportunity missed, Academy! ‘Romeo + Juliet‘ debuted in 1996 and cemented Leo’s status as a heart-throb and a box office draw for teenage girls, but outside of being gifted with spouting Shakespeare, this role didn’t show a huge performance that should have cemented him an Oscar nod. This stand-out performance likely led to his starring lead opposite Kate Winslet in 1997 for James Cameron’s ill-fated love story, ‘Titanic‘. Now ‘Titanic‘ is a title that won a slew of awards, (Think of it as the ‘Mad Max: Fury Road‘ of 1997’s Oscars). DiCaprio wasn’t nominated in the Best Actor category, but his co-star, Winslet was nominated in the Best Actress field, alas, Helen Hunt won for ‘As Good As It Gets‘. So he’s likely beginning to feel overlooked by the Academy. 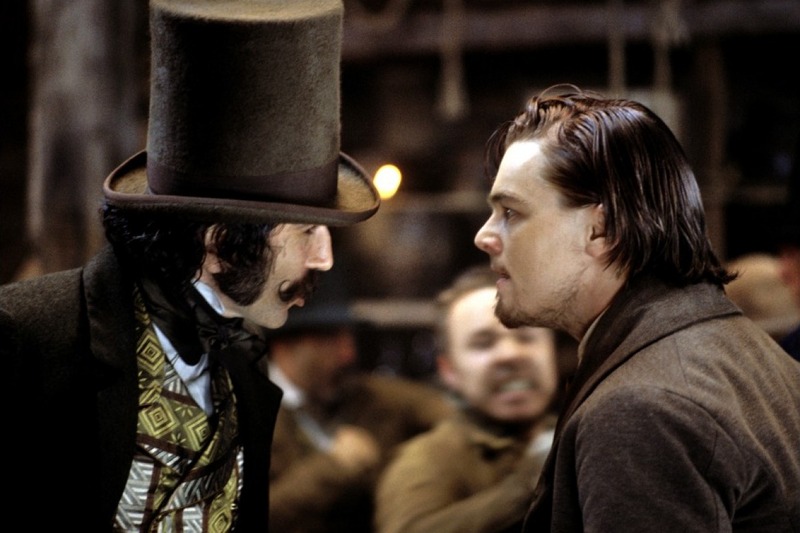 2002 saw the first team-up of DiCaprio with legendary filmmaker Martin Scorsese for ‘Gangs of New York‘. I was certain Leo would be nominated for this flick, but it wasn’t meant to be. The film did get nominated for 10 different awards at the Academy Awards but was snubbed at each and every turn. Not cool, Academy. 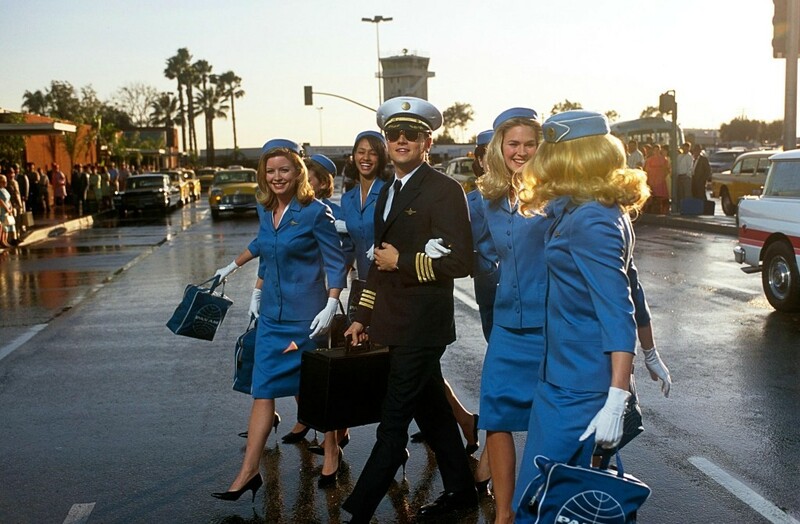 During the same year, Leo gave an amazing turn as Frank Abagnale Jr. in another of Steven Spielberg’s collaboration with Tom Hanks, ‘Catch Me If You Can‘ that saw DiCaprio play an incredibly successful con man who fraudulently cashes more than $2.6 million in checks in 26 countries, all before the time he’s 19. Leo was nominated, but wasn’t awarded a Golden Globe for his part. 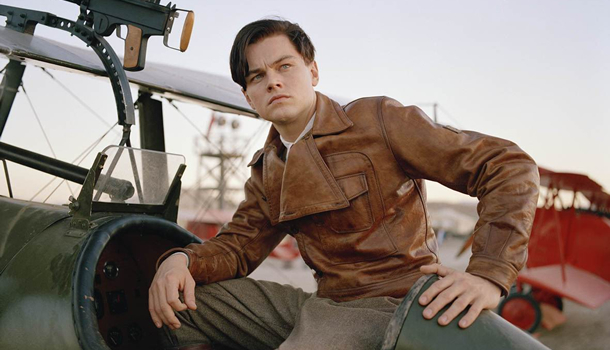 From there is ‘The Avatar‘ where Leo and Scorsese joined forces, once again to tell the story of Howard Hughes. The film won an astonishing 11 nominations by the Academy with lead actor for Leo’s amazing portrayal of the OCD stricken Hughes. 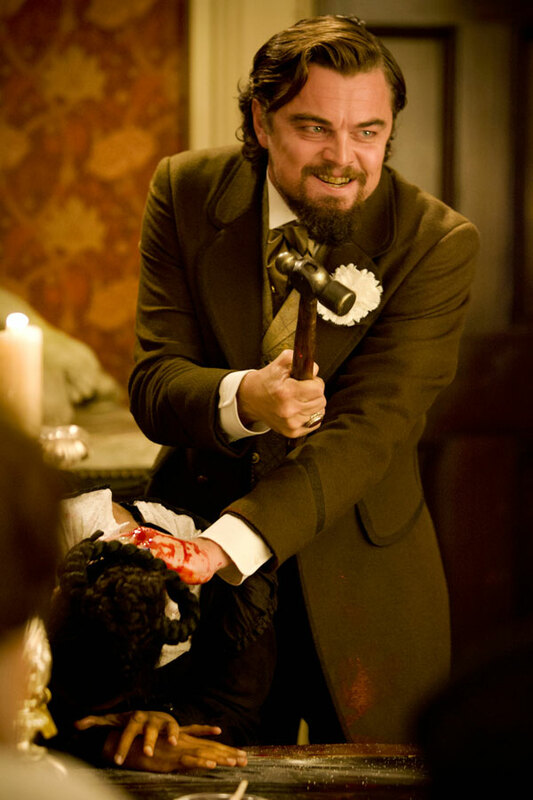 Next for the actor was another collaboration with Leo and Scorsese that produced ‘The Departed‘. This is one of my absolute favorite films of all time and I was appalled that DiCaprio was entirely overlooked come nomination time. I was elated that Scorsese won for Best Director and the picture won for Best Film, but still no love for DiCaprio! 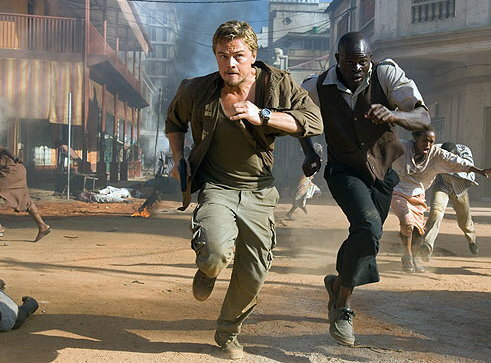 The next overlook for Leo comes in the form of Edward Zwick’s ‘Blood Diamond‘ in 2006. He was nominated in a best actor capacity for a SAG, a Golden Globe and an Academy Award and was snubbed for all of them. I get it, it’s not only about the awards if you’re an actor, but I’d be getting pissed off at this point if I were Leo. If I were him though, I’d spend more time in the shower and probably wouldn’t work as much as him. Different story, though. ‘Django Unchained‘, Quentin Tarantino’s western turn in 2012 brought us face to face with Calvin Candie as Leo had to tap into some vile characteristics to give us a believable villain that was truly dreadful. A true stretch of the acting abilities we’ve all become aware Leo has. This was a remarkably great performance and the Oscar world was still not ready to believe. 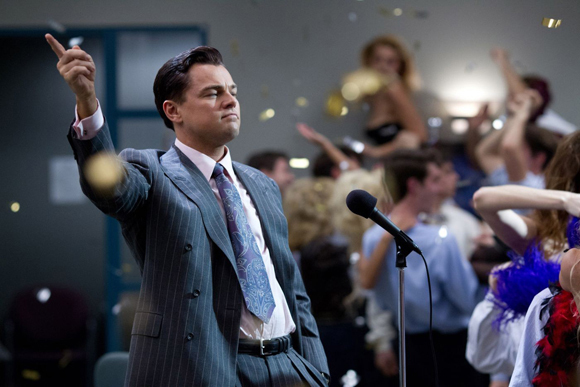 In 2013, we saw the latest team effort of Martin Scorsese and Leonardo DiCaprio with ‘The Wolf of Wall Street‘ an adaptation of a true story by Jordan Belfort. Leo played the title role of Belfort, a fast-talking, drug-addicted stock broker that blurs the line when it comes to legal and moral delineations. This was physically demanding, dramatic performance at its best and Leo was absolutely glorious! It was a complete crime that he was bypassed, once again, for Oscar gold. I’ve stumped for DiCaprio at every turn and will continue to do so. 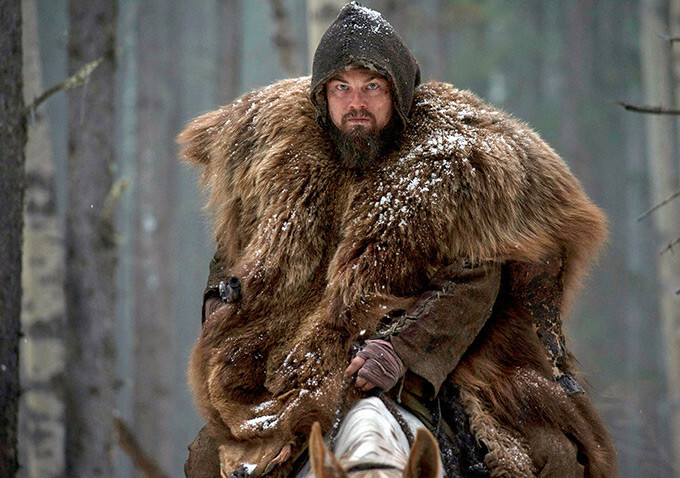 When I read ‘The Revenant‘, I knew he would be perfect for Hugh Glass and that this was the kind of story that would be a love letter to the Academy, hopefully cementing his Oscar win. I was anticipating the end of the show last night when I could find out who would finally win for Best Actor. I even had nervous energy making me antsy during the last commercial break. Thank God Julianne Moore did not drag out the drama when she announced the name! I and my daughter yelled, waking up others in the house, when we heard his name called. I fist-pumped, I danced, I rejoiced the moment I feared would never come. Finally, it’s Leo’s time and he was gracious. This is more than just a “He was overlooked!” rant, this was a love letter to an amazing actor, a gorgeous actor, and a talented actor and his name is Leonardo DiCaprio. Don’t forget that! This entry was posted on Monday, February 29th, 2016 at 7:54 pm	and is filed under Books, Film, News, Television. You can follow any responses to this entry through the RSS 2.0 feed. You can skip to the end and leave a response. Pinging is currently not allowed. « Jimmy Smits Becomes A Senator Again For ’24: Legacy’!! !